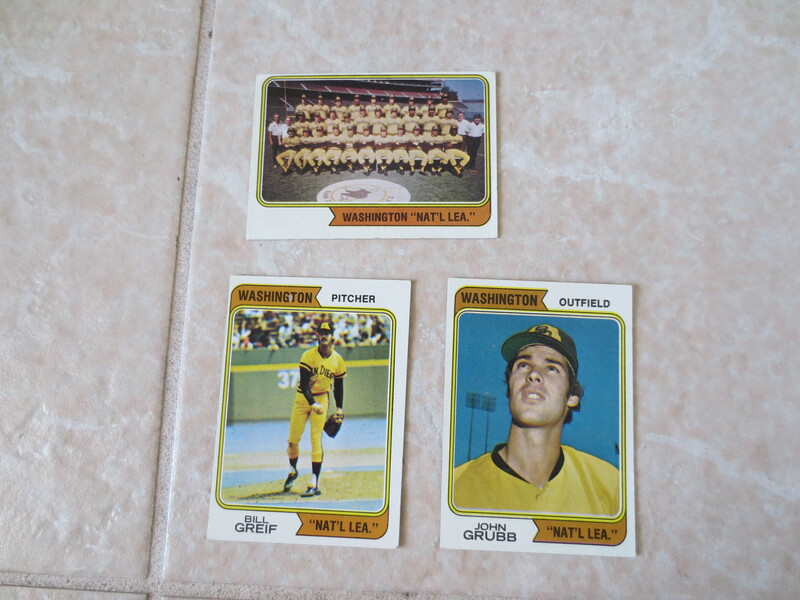 Lot Detail - (3) different 1974 Topps Washington National League variety Team, Greif, Grubb Tough to find. (3) different 1974 Topps Washington National League variety Team, Greif, Grubb Tough to find. What we have here are three different 1974 Topps Washington Nat'l Lea. variety baseball cards. 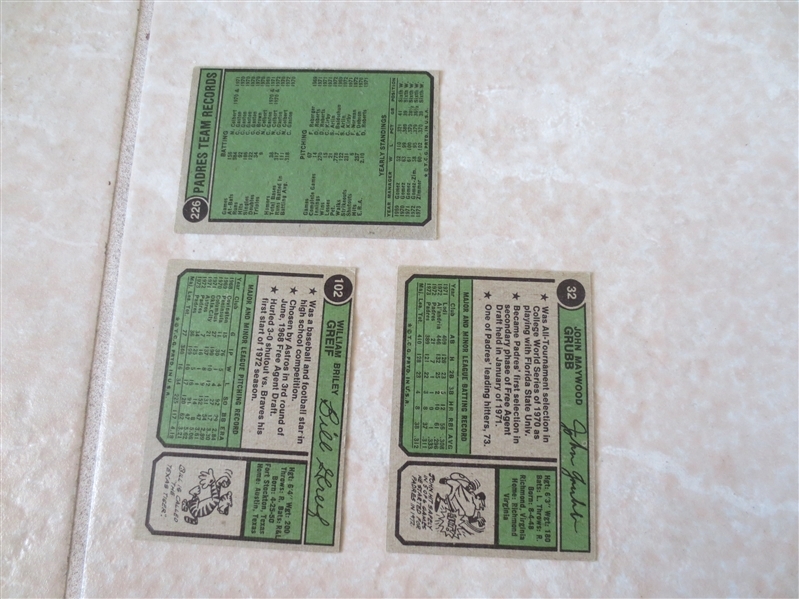 There are the team card, Bill Greif, and John Grubb. Overall, I would grade the three at ex-ex+. Tough to find.